I get it. SEO can be confusing and not fun to do. But what if I could show you a way to do SEO that was Smart and Simple? Would you be interested? Would it make your life easier? Would you be willing to give it a go? If you answered YES to any of the above, then this content is for you. Today we are going to break this content into 5 (five) easily digestible segments that can have your content showing up higher in the search engine results pages or SERPs as the industry calls them. The key to smart yet simple SEO comes down to two fundamental steps. First, establish yourself as the leading industry expert & second, create content that your audience is hungry to consume. Becoming the leader of your industry is something that can come very easily to you once you think of the key terms and phrases that can “draw the dogs to the Beggin’ Strips,” as some would say, and have content that is greatly represented by those key terms and phrases. Now before you go through caution to the wind to write your manifesto, make sure it aligns with your companies message. Your brand has to be one voice. Becoming a thought leader requires you to create content that delivers value beyond the scope of your product to establish you or your company as an industry expert. HubSpot is an inbound marketing and sales platform that helps companies attract visitors, convert leads, and close customers. The company goes above and beyond when it comes to helping clients. Importantly, the people who flock to the company’s site for information are more likely to use its services, too. HubSpot has done a fabulous job creating a blog that anyone in business can love. Whether you’re looking for inbound basics to sales, product info, or even agency insights, you’ll find all of that on their homepage. While Hubspot’s thought-leading approach is sophisticated, there’s still a higher level of content marketing: storytelling. With storytelling, you provide your customers with an emotional link to your brand. Say you’re a business owner deciding between two suppliers. Both firms are successful and respected, but one firm’s brand message stands out to you immediately. What is it about the company’s message that grabs you? Zappo’s, an online shoe giant has a blog that talks about anything but shoes. Know your audience! When you do, you will not only find your content niche and a dedicated following, but you will also start to understand vital characteristics about them. Understanding your audience has profound implications for your marketing strategy and beyond. From the perspective of developing your content and SEO strategy, it helps you answer key questions such as: who are your customers? What are their most urgent and pressing concerns? What factors are they focused on regarding making a buying decision? This information helps you decide what strategy will reach them most efficiently at every point from design and copy to keyword research and content deployment. Once you’ve grasped the basics of content marketing and know at which level you want to operate, it’s time to start developing content. Now that you know your audience persona, ensure the content you create addresses the issues with which your audience might be concerned. Knowing your audience persona will also help you discover your content niche, or your content’s specific focus or topic that gives it particular value for your audience. Whichever persona your audience has, you are able to cater to the needs they have when it comes to answering the questions bouncing around in their heads regarding what you and/or your business represents. If you own a travel agency, for example, it’s easy to write about vacation destinations and the different types of trips available. But there’s plenty about this topic already! You might discover, however, that a significant portion of your audience persona is parents of younger children who are middle income earners. Bring these two topics together, and boom! You’ve found your niche. Start your journey today becoming the expert in the best family vacations on a budget. Strip down your website, and have it be, at its very core, be the driving force of whatever niche you have found. From your company’s message to the content riddled through your website, you can be the Mozart in the world of your industry with smart and simple SEO. Your blogs won’t materialise itself. Now, you need to create! Determine who on your team is capable of writing content well, and often. Knowing what you need out of content is essential, but creating good content is a more significant challenge. To be successful at creating content, you’ll need to find talented people to fill three, specific roles. The first person you’ll need is a chief content officer. This person oversees all content marketing initiatives and makes sure they are in line with the company’s overall marketing strategy. The second person you’ll need is a managing editor, who will work with content creators. A managing editor also makes sure work comes in on time, edits it and schedules it for publication. And finally, you’ll need a listening officer. The listening officer monitors how your audience is responding to your content, mostly by following comments on social media . Hang on a second, all of these roles can be filled by one person. Someone who drove the thought train into the station and originally came up with the idea to make a website in the first place. This person will most likely be you or one person in the office you promote to the job. Here is what you do. Post new content to your website weekly. Share it on your social feeds. Make sure to listen and answer everyone on your feeds. This is the best and easiest way to grow followers. Listen to the songs your audience sing, will allow you to write the music, the soundtrack for your industry. Now that you have all this fantastic content it is time to share it with the world. Using sharing strategies and SEO to promote your content far and wide is one of the easiest ways to get your content in front of an audience that wants to see it. Now, you need to figure out how to promote your content. Social media is vital, but which services should you use? Do you want to use Facebook, to reach as many people as possible? Doing so would mean you’d face more competition. Or would you instead use niche content sites with more limited, yet specific, audiences? Doing this method means you’ll be addressing an audience that you know will want to hear what you have to say. Note: if you do choose Facebook, you might consider closed sharing your information in a closed group. They are more targeted than sharing your post openly. After deciding which social media will best help you reach your goals, begin by creating a strategy that gives your work the best chance of being read and shared. How will your content reach your audience the best way? Think of your content as new music in a popular genre. How will your music top the Billboard charts and stand out from the rest of the genre? In his book Brandscaping, Andrew Davis discusses the social media 4-1-1 approach. 1 – share one piece of your original content. 1 – share one sales piece coupon, a product notice or a press release. To make sure your content is shareable online you need to make sure that it’s searchable online. You can achieve this by using search engine optimisation, or SEO. To find out just how “social” your content is, you’ll need to investigate sharing insights, which include actions such as likes, shares, tweets, pins and forwards. Sharing metrics are the best indicator of whether your content is getting people talking. What happens if you post something that doesn’t get the traction you were hoping it would? Easy, edit the content and reshare it. Do this until you have perfected the voice that your audience wants and they reward you by sharing it. Rinse and repeat. You may have to go through a number a shampoos before you find the one that best suits your hair, but once you do, you’ll never stop using it. Perhaps you are looking for something other than a Facebook like, share or comment. Maybe you are looking for a sale. Good news for you as sales metrics are much more straightforward to examine, in that you can always count the amount of money you’re making! A solid understanding of all metrics will allow you to accurately review your content strategy and improve it where and when necessary. Then you’ll be using your content to its fullest potential. What You Need in Your Toolbox? If it wasn’t for tools, then we’d never get anything done. Well, we might, but it would take 100x longer. When it comes to optimisation, this couldn’t be any truer. You need to have the right tools for the job. You can’t put two 2x4’s together without a hammer and the proper nails. In the same sense, smart and simple SEO needs to be conducting with certain tools to get the job done. Online marketing is a numbers game. Getting your information in front of as many people as possible is essential. Some may even call it critical. It could be the difference between success and failure. How can your music touch the world if no one’s listening to it? There are several tools to help you review your content’s consumption. Google Analytics can track page views and downloads; YouTube Insights tracks video viewing numbers; and services such as Facebook, Twitter and Instagram all have their sharing insights to tell you what is working and what is not. To be an effective content marketer, you don’t just need more content. You need the right kind of content, expertly crafted, strategically released and tracked accurately for its effect on optimisation, social conversations and ultimately sales. 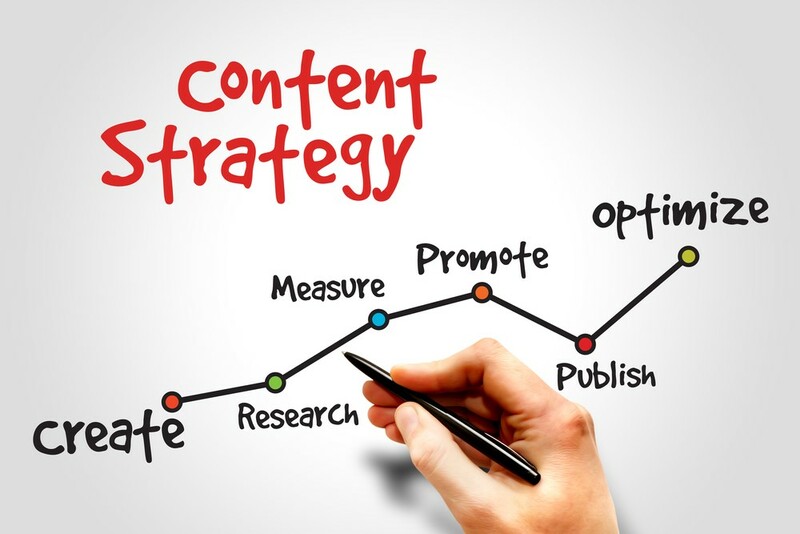 Your content marketing is one piece of an overall marketing strategy. You need your content to get in front of as many people as possible, create an interest with them and ultimately set you(r) company up as the authority that they need to do business with. The above Smart Simple SEO techniques are meant to help you gain valuable techniques and insight into how SEO and ranking a website works. There are literally thousands of ways to rank a website and we have focussed on only a few to start. If there is something that doesn’t make sense or something you need explained, please feel free to email me directly trevor@smartsimpleseo.com.